In 1748, Washington was an adolescent maturing into a young man, and chose to become a surveyor. His father had died when he was 11, and his initial plans to join the Royal Navy as a midshipment had been blocked by his mother. Washington's older half-brother Lawrence was a land speculator, and one of the original investors in the Ohio Company. Lawrence was well-connected, especially after marrying Anne Fairfax, the daughter of William Fairfax of Belvoir. William Fairfax was Lord Fairfax's brother, and the agent responsible for land sales and quitrent (property tax) collections on the 5.2 million acres in Lord Fairfax's Northern Neck land grant. In March-April 1748, George Washington accompanied George William Fairfax (William Fairfax's son, and thus nephew of Lord Fairfax and younger brother of Anne Fairfax) in a "Journey over the Mountains" to the Shenandoah Valley. 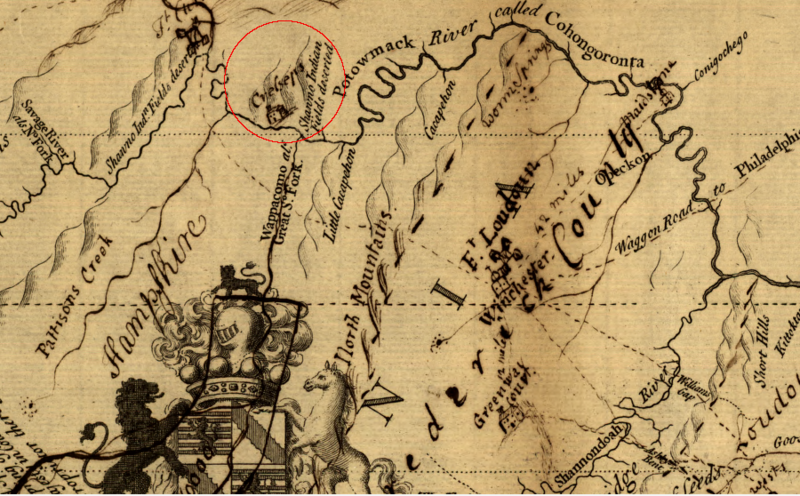 James Genn, the surveyor of Prince William County, led the expedition as it surveyed tracts for Lord Fairfax and identified the best lands for future sale. Lord Fairfax appointed George Washington as the surveyor of Culpeper County in mid-1749. It was an appropriate time for him to fall in love, but he struggled for almost a decade to find his life partner. Washington visited George William Fairfax and the rest of the Fairfax family often at their plantation home, Belvoir. There, he learned to dance and engage in conversation with well-educated, sophisticated members of the Virginia gentry. Though Washington's formal schooling was limited because his father had not amassed enough wealth before he died to send a third son to England for study, Washington managed to advance his status in colonial society through his family connections and his own initiative.